Hi all!! Today I'm taking part in the blog tour for the brand new Thread Faction collection for girls called SS2016. 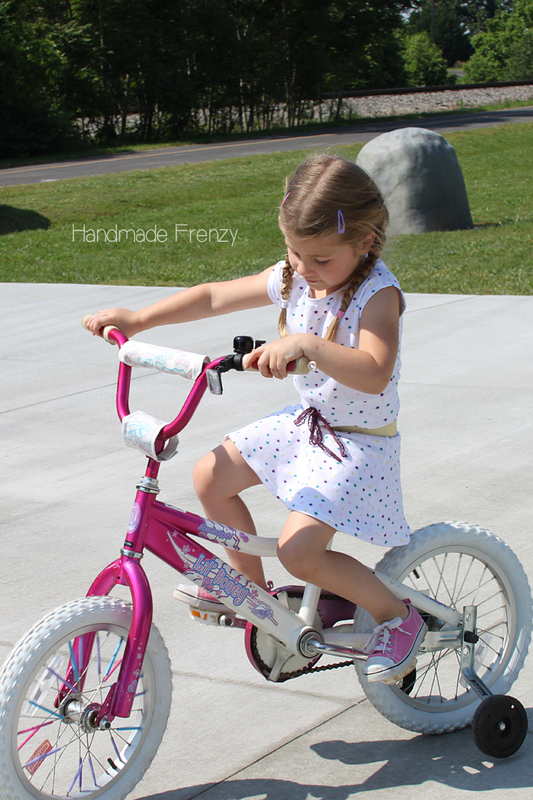 It is a seriously cute collection of very functional wardrobe pieces for active little girls. Make sure to go all the way to the bottom of the post for a huge giveaway and chances to win your own copy of one of these patterns! My girl is as girly as they come but also rough and tumble to the core! These patterns fit perfectly into her life. She loves nothing better than to run, jump, climb and get as dirty as possible, but she also LOVES to wear dresses. When I saw the pattern for the twirly skort, #106, I knew that had to be part of the ensemble I was going to make for this tour. Definitely the favorite feature is the hidden shorts underneath! She wears shorts under all her skirts anyway, it's just nice to have to grab only one item of clothing this way. Plus how fun is it to have them match!? The top is pattern #108, a dolman sleeve bodice with the option of a peplum or dress length skirt. As you can see, I decided to hack a wee bit and left off either of the skirt options and instead added a band at the bottom for a crop top to pair with the skirt. These patterns, as I've mentioned before, fit into our lives so well! 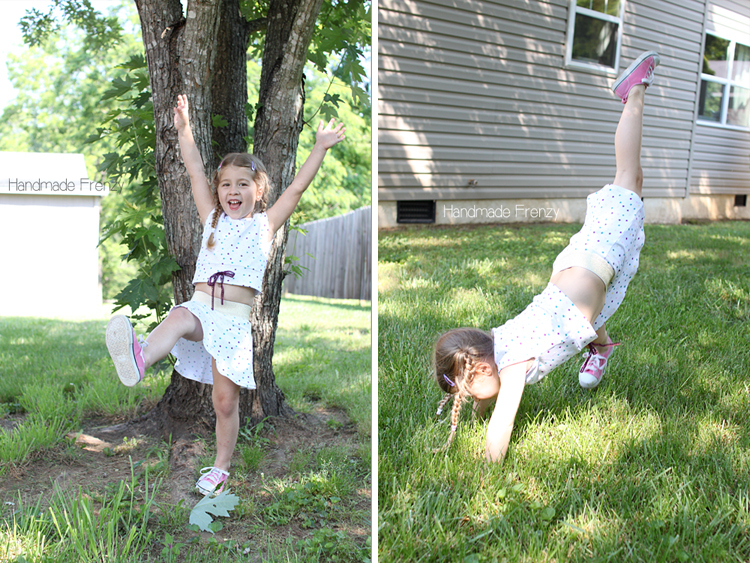 Comfy and totally functional as play clothes, but with a major cute factor! The skirt length is even perfect for riding bike! No worries about it getting caught in the wheel. This is the first time I've sewn with Thread Faction patterns and I was very happy with them! The illustrations and instructions are great, the sizing is spot on. She includes helpful instructions on how to blend sizes to achieve the perfect fit. 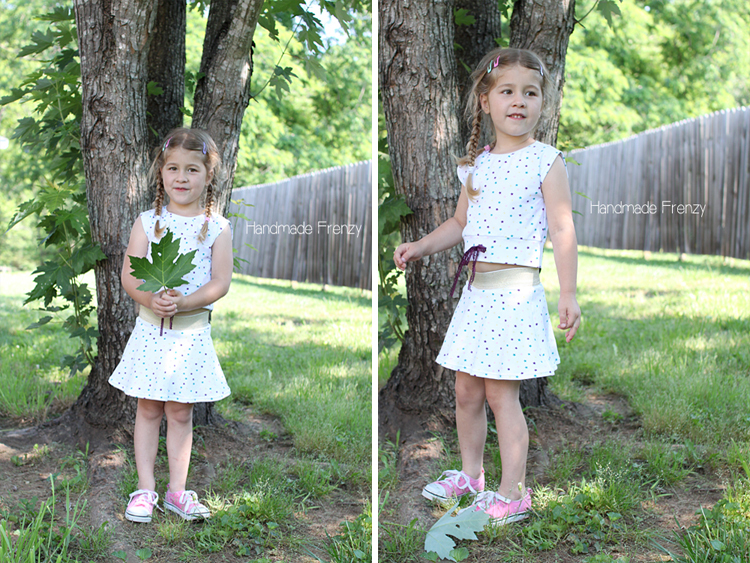 The fabric I used is from LA Finch Fabrics, one of the blog tour sponsors, and there is a coupon code in Liz's post that I mention below. This was also my first shipment from LA Finch and I was beyond thrilled. Quality fabrics at great prices! The shipping and packaging was top notch as well. Now for your chance to win!! Liz has an awesome giveaway going on over on her blog - head over to this post to enter to win one of FOUR fabric prizes! Plus, that post includes coupon codes for MANY online fabric retailers. If you love coupons combined with fabric as much as I do, you definitely don't want to miss it!! And for your chance to win a pattern of your choice enter the rafflecopter below! I love 108 best! 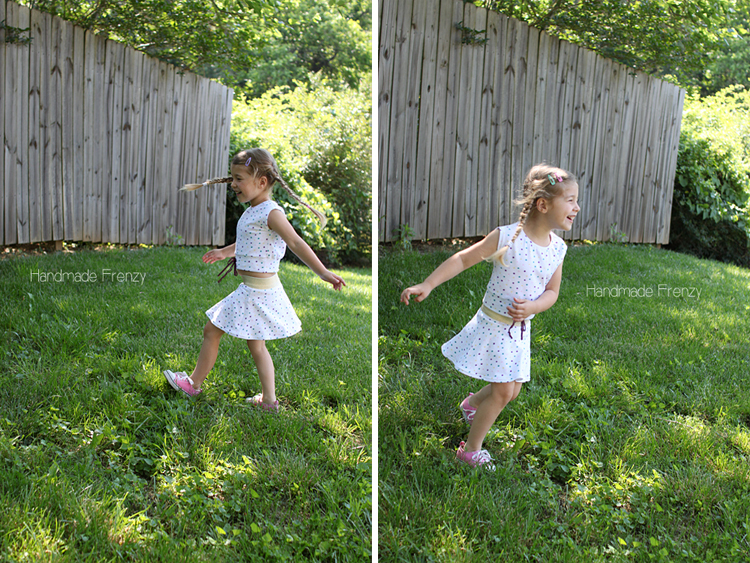 It has just the right amount of twirl in the skirt without being too fussy. This is a very cool combo - the #108 bodice makes a great top! Omg so cute! Love the built in shorts! My girls still wear shorts under their skirts! 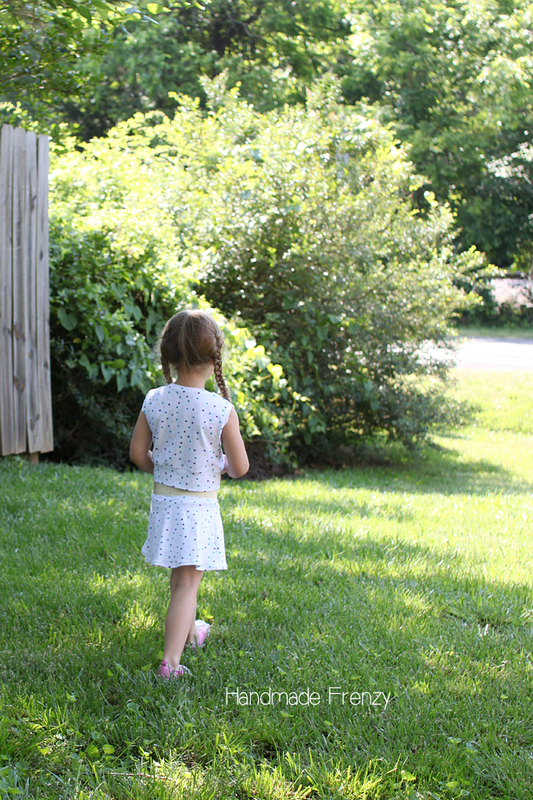 Skorts are the perfect little girl summer clothes. My daughters love them. Oh love the skirt with shorts! Seems so confortable and perfect to play! All of these patterns are adorable! So many times, designers come up with frumpy designs to put on kids and I just don't like them. 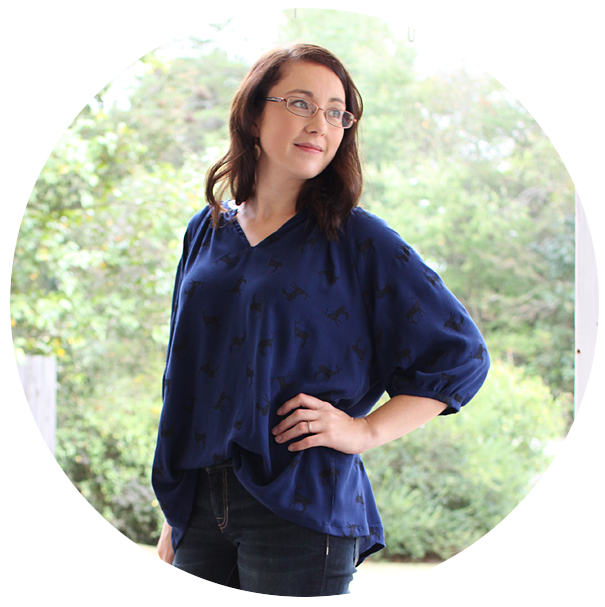 I'm enjoying all of the pattern versions on this blog tour. I think I like the peplum top the best so far. I love them all, but I am really in love with #108. Perfect summer dress, but even in winter with a cute cardigan it's a must have! My girl lives in skirts like #106! 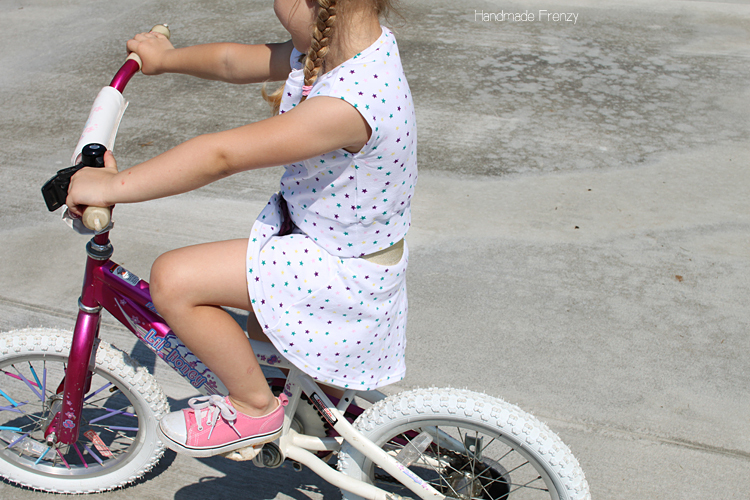 And girls on bikes in skirts are so cute! My faves are 106 and 107....love your creation! I like them all but am SEW in LOVE w/ the romper!! Thanks for participating & the giveaway!! I love the skirt with the shorts underneath! 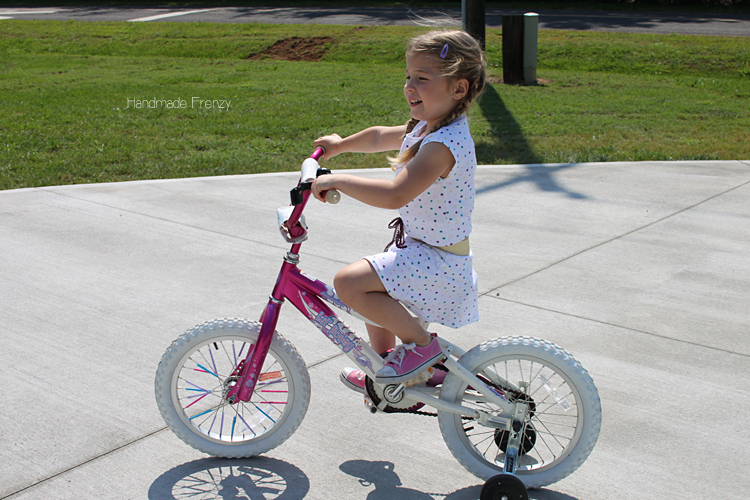 So practical for active girls! Im a huge fan of #108 - the quintessential girls dress! Why must you ask a question that is impossible to answer. It's not faaaaaiiiir! [she wails like a cranky kiddo] I'm leaning toward 108, but I'm still waffling all over the place.